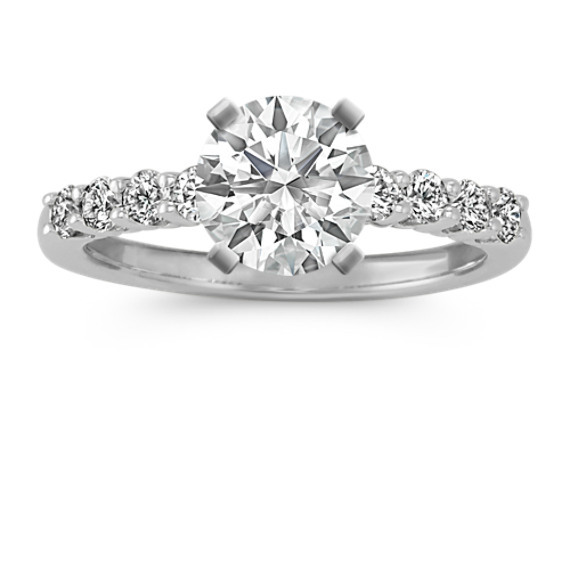 Classic Round Diamond Engagement Ring | Shane Co. Eight round diamonds, at approximately .37 carat total weight, have each been hand-selected for superior brilliance and create a breathtaking backdrop for the center diamond of your choice. This classic setting is crafted of quality 14 karat white gold, measures 2mm wide and is sure to be adored for a lifetime.